The InfoLibrarian Corporation™ process combines structured in-depth methodologies tailored to individual client needs, with best practices, fine-tuned by highly experienced professionals. Working with InfoLibrarian Corporation™ and its strategic partners brings a high level of customer satisfaction every step of the way, including: consulting, systems integration, configuration and customization, training, and support. Our clients consistently enjoy best-in-class solutions. 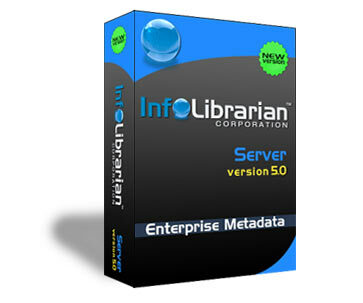 Combined with a world class enterprise metadata software solution, InfoLibrarian's team has the experience and track record of success. InfoLibrarian is there every step of the way from discovery to production rollout and support. If you are currently evaluating Enterprise Metadata solutions, give us a call to arrange an onsite visit by our professional services team. InfoLibrarian Corporation™ and its partners provide best in class Metadata Management integration and consulting services to clients, using our Infolibrarian Metadata Management Framework™ and the latest Microsoft development technologies. Our staff has the relevant technical experience and proven track record to ensure that your Metadata integration or management projects are a success. We provide the full gambit of metadata management program development for your company. Metadata Management requires extensive experience, and knowledge of integration, whether it is ETL integration or messaging integration. InfoLibrarian™ and its partners are available for your mission-critical, large scale Data Governance, Metadata Management and Master Data Initiatives. Our mission is focused on supporting our customers in the establishment, development, adoption and enterprise deployment of metadata initiatives using tried and true technologies and methodologies. This allows our customer to generate maximum value and benefit from their investments leading to a successful roadmap for a data governance implementation. Business & Data Governance strategy alignment. Metadata strategy mapping & scorecards. Patterns, trends & road mapping. Planning, architecture reviews, & impact analysis. Alignment of Funding, governance & program roll-out. System & application metadata inventory. Requirements, discovery & creation for metadata federated repository (system of reference). Capturing metadata from source systems into the metadata repository. Mapping business terms to technical metadata. Analysis, discovery & requirements around business metadata as it relates to Governance. Templates & integration with messaging or mail systems for change management notifications. InfoLibrarian Corporation™ and partners use an organized, methodical approach to solutions delivery. Our mission is focused on supporting our strategic customers with efficient, repeatable methods, either in an outsourced or co-managed delivery model. Our services are delivered using a consistent, structured delivery methodology and approach which allows us to come in on-time, on-budget, lower risk, and ensure your success. Delivery teams, not just bodies. Increase odds of a successful delivery. Effective management of requirements and scope. Weekly status, variance, and milestone reports. No surprises – customer always in the loop. Enterprise architecture is the process of translating business vision and strategy into effective enterprise change by creating, communicating and improving the key requirements, principles and models that describe your organization's future state and enable its evolution. InfoLibrarian and its partners provide this critical foundation for guiding the transformation required to achieve the vision of your organization. By producing this understanding, InfoLibrarian can address your goals of Effectiveness, Efficiency, Agility, and Durability. Quick Start to get the program started and producing value. EA engagement and organizational commitment. Aligning EA with other programs and lifecycles. EA career paths and competency development. Enterprise knowledge management & repository strategies and plans. Essential program elements and recommendations. Architecture product development and mentoring. Developing heat maps and roadmaps. InfoLibrarian™ and its partners are available for your complex, mission-critical, large scale Integration initiatives. Our mission is focused on supporting our strategic customers in the adoption and enterprise deployment of Integration Technologies and Methodologies in order to generate maximum value and benefit from their investments. Our services are delivered using a consistent, structured delivery methodology and approach which allows us to come in on-time, on-budget, lower risk, and ensure your success. Enterprise level architecture, design and integration. Health checks audits and migrations. Services enable the capabilities of the Enterprise and provide the method for achieving agility and adaptability. Everything as a service (EaaS). No businesses are alike, nor do they have the same needs. InfoLibrarian™ recognizes these facts and therefore, instead of changing the business practices that are already streamlined, it makes a perfect sense for a business to go for the tailor-made or custom software application development. Custom application development is nothing but the software made or application developed as per the requirements of the client applicable for that particular business needs. Our expertly trained intuitive staff consists of certified software developers, professional IT experts including but not limited to, project managers, software engineers, software architects, designers, project managers, and installers. With these specific skill sets InfoLibrarian™ is made more flexible and more agile than most. All these qualities help jump start your InfoLibrarian™ custom software application development or InfoLibrarian™ custom web application development. InfoLibrarian™ has completed many successful POC's. Companies have gained a great deal of insight into their metadata management and data governance initiatives following their proofs of concept. 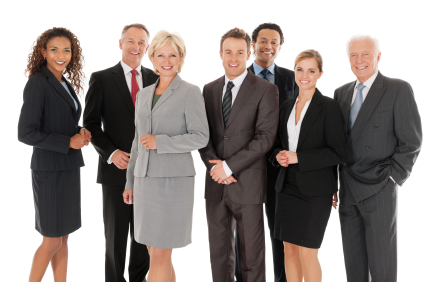 If your company feels they would benefit from a POC, InfoLibrarian™ has the right team and professional resources available to help manage, document and to deliver a completed POC. Requests for Proposal almost always indicate that customer will be requiring much from the vendor from day one. This includes Demos, disovery, reviewing of requirements, proofs of concept and other related activities. InfoLibrarian is here to help. Give us a call to discuss engagement options for making your case for metadata management.